When corn is an option, it actually makes me feel bad for anything else on the menu. Sorry, other salad. Sorry, other appetizer. Corn wins this round, and every round ever. 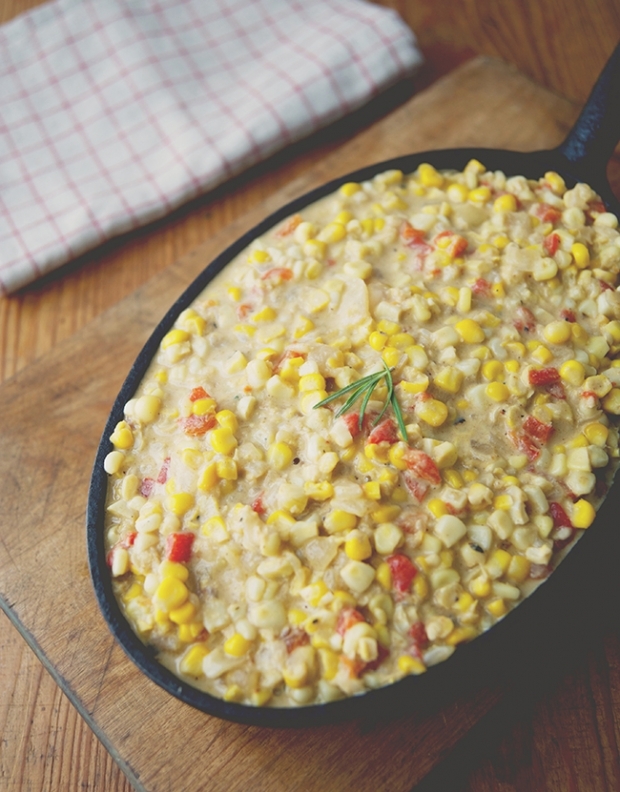 Creamed corn pushes it into another category. And with a little bit of cumin and the smoky sweetness of charred bell peppers, this dish is rich, but surprisingly light. In a small saucepan, simmer the heavy cream, rosemary, 2 tablespoons cumin, and bay leaves. Remove from the heat and let sit 20 minutes to infuse. With a large knife, remove the corn kernels from the ears, and then run the knife over the empty cob to gather the corn’s “milk” (the juices still clinging to the cob). To prep the bell peppers, char over an open flame with tongs (or broil in an oven) until the skin is quite black. Place the peppers on a baking pan or tray and cover the tray with aluminum foil. Let them cool to room temp, then remove the foil, and with your hands or a knife, remove the skin. Cut off the tops, remove seeds, and chop up. In a medium pot, heat the olive oil and cook the onions with a pinch of salt until golden, about 15 minutes. Add the garlic and ground cumin, and cook, stirring frequently for 5 minutes. Then stir in the corn kernels, milk, and diced bell peppers, and continue cooking over low heat for 5 more minutes. 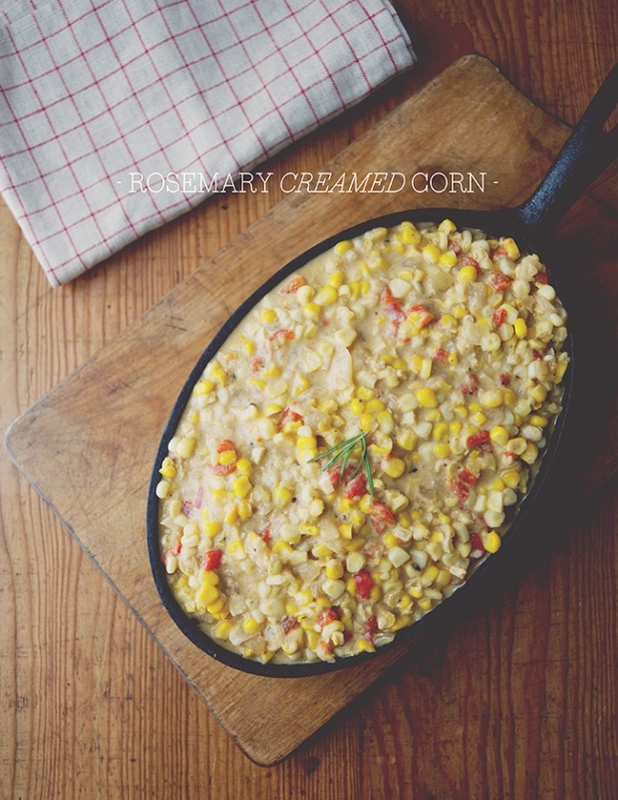 Using your finest strainer, strain the infused herbal cream into the corn and pepper mixture. Add the butter and stir. Gently simmer 15 minutes.